I’m not really fond of eating vegetables, you can say the I’m very picky with food but it doesn’t mean that I don’t eat vegetables. I eat vegetables pero di yata lalagpas ng 20 vegetables ang kinakain ko. Hehehe! 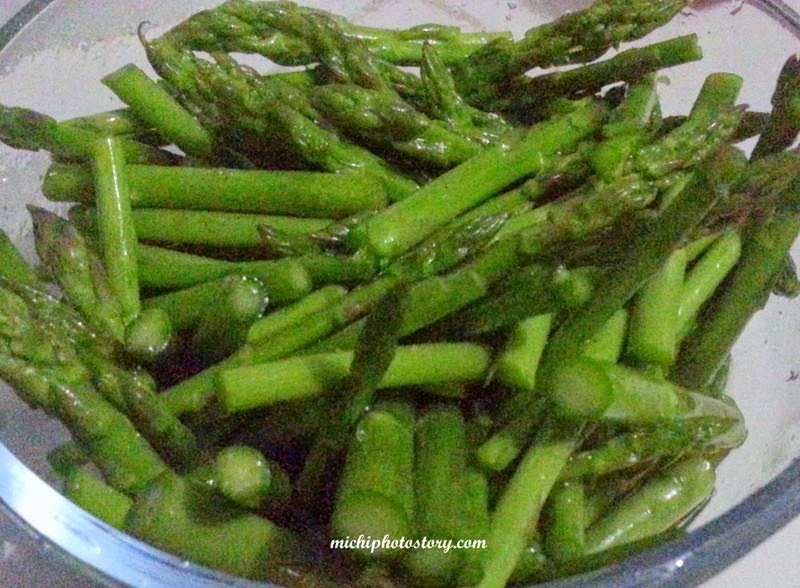 Anyway, asparagus is one of my favorite vegetable, expensive nga lang. But whenever I see this in the grocery na less than P100 ang bundle, I will surely buy it. Most of the time I just saute it with butter or olive oil + salt and pepper to taste. But for a change, I made Bacon-Wrapped Asparagus last New Year’s Eve. Bacon + Asparagus = yum yum yum. This is one thing that I always look forward if I will eat in Yakimix or Sambokojin. This dish is so easy to make and few ingredients are needed. 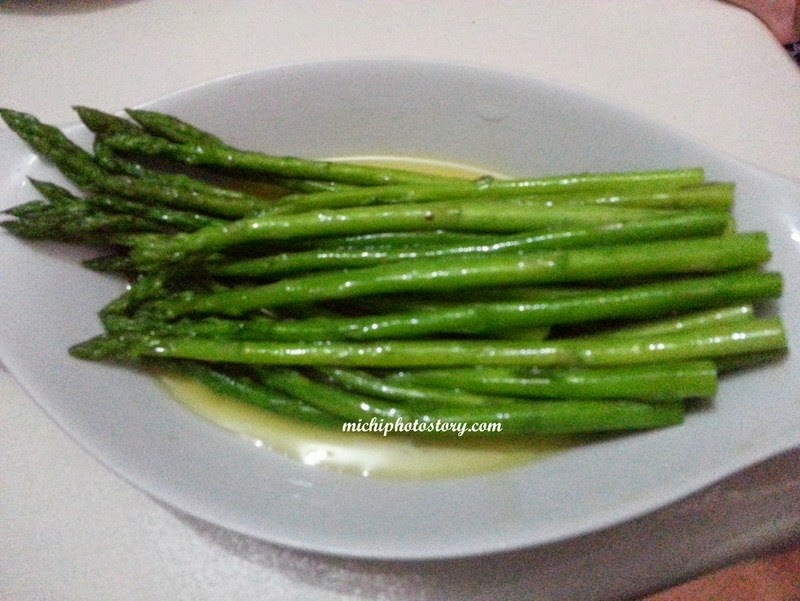 Drizzle some olive oil in your trimmed asparagus. Season with salt and pepper or you can remove salt if your bacon is salty. I sliced the bacon in half. 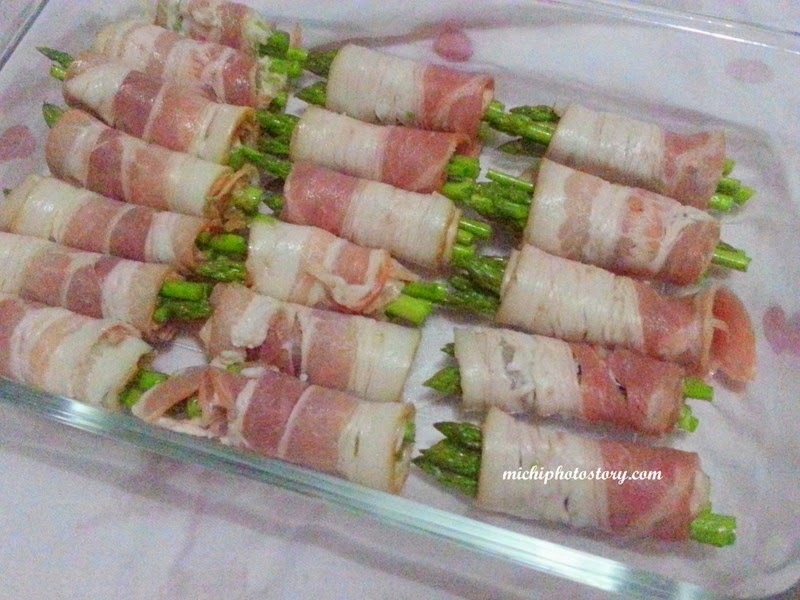 Gather few pieces of asparagus and wrapped it using bacon. Bake for 12 minutes or more depending on the thickness of your asparagus. I like making this whenever I have bacon, which is very rare. hehe! I miss eating at Sambokojin, haha! Now I am more hungry! This made me realized I didn't eat dinner yet! Hahaha. I love asparagus, too, but like what you said, it can be quite expensive. I haven't tried eating bacon-wrapped asparagus yet! Before I'm not fond of vegetables also but when I got preggy to my first baby, I forced myself to eat veggies and I love asparagus, too! 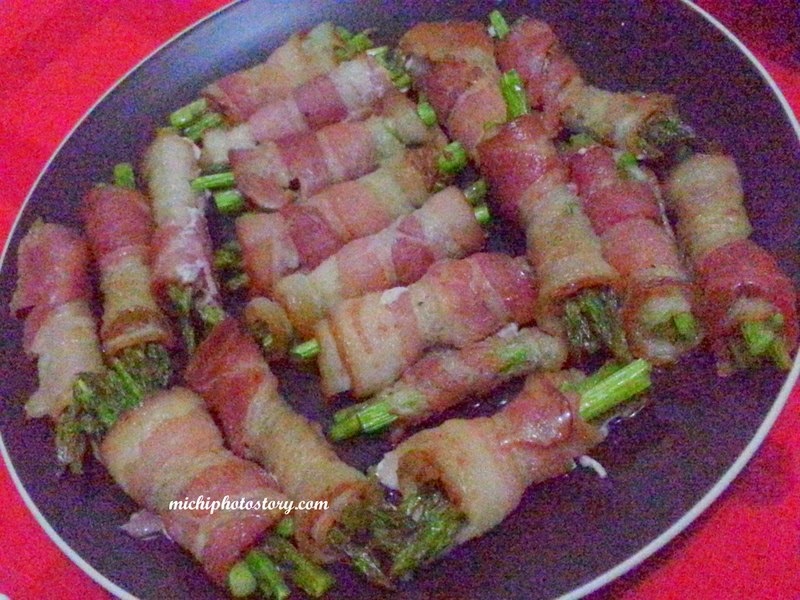 I would really love to try this bacon-wrapped asparagus soon, thanks for sharing the recipe Michi! Wow sis ang sarap naman. I just wish asparagus is just cheap, and also the bacon, hehe. This will be something new for our family.I will definitely try this recipe. Maiba naman di ba? Thanks for sharing.